We are accredited by the DVLA to issue Certificates of Age on all motorcycles. If you have an old Yamaha motorcycle that has never been registered, or one that the DVLA do not have any records for, and you wish to retain the original (or obtain an age-related) registration number plate then you need this service. Back in 1974, the DVLA started computerising vehicle registrations. Before then registrations were carried out by County Councils or Borough Councils, but Centralised Registration pulled all these records together onto a computerised system. Of course, many registrations were lost or not transferred by the various councils, and when all the old records had finally been entered (by about 1980) there were still many vehicles that were not on the new register. In order to retain an original (or obtain an age-related) registration number, you first need to apply for a Dating Certificate from the appropriate vehicle enthusiasts club. For Yamahas, the Aircooled RD club is the authorised vehicle enthusiasts club. To apply for a Date Certificate for your Yamaha you need to get together as much documentation about your machine as possible, and as many photos as you can get your hands on. As a minimum you should have photos of both sides of the bike, the Engine Number, and the Frame Number. If you have any original Bills of Sale or Service documents then this will make the job much easier. In fact, any dated information you can supply on your machine will make your case that much stronger. Please note: To get the club members discount price the motorcycle must be a Yamaha Air Cooled Two stroke. Others will be charged at the standard price of £30. The Yamaha dating officer is: Paul Dawkins, Linwood Cottage, Greenhill Lane, Toothill, Rownhams, Southampton, Hampshire, SO16 8AN. If you have any queries about this service please email paul@motorbikeregistrations.co.uk or send a PM to Paul Dawkins. I have sent my V5 off to the DVLA to notify them of an engine change.Pretty straight forward if you are changing like for like. I was notifying them that I had put a "398" 400 motor into a 250 bike. A receipt of purchase on headed paper, from a garage, confirming the engine number,engine size(cc)and the fuel type of the reconditioned or replacement engine, if one has been fitted. An inspection report from an organisation such as AA or RAC. An inspection report for insurance purposes. Written confirmation from the manufacturer showing the engine size and number. Written confirmation on headed paper from the garage that carried out the conversion. Written confirmation of the change on headed paper from an independent garage. PLEASE NOTE very few manufacturers produce an engine size of exactly 398. If your evidence does not provide an accurate engine size, it may be rejected. The last opotion is the one I used. Headed letter from bike shop with colour,cc and engine number. Could the club now provide the proof required? As this is quite a common conversion. It's better now, than it was before, when it was worse than what it is now. I can issue a letter stating the engine size from the engine numbers. I have done this and DVLA accepted it without question. Know anyone who can issue a cert for a Duke? Would you know if he is able to do them? I can do most machines if I can find the info I need. I will be back on 27th, just give me a call then and I take a look. PM me the frame numbers and the model. 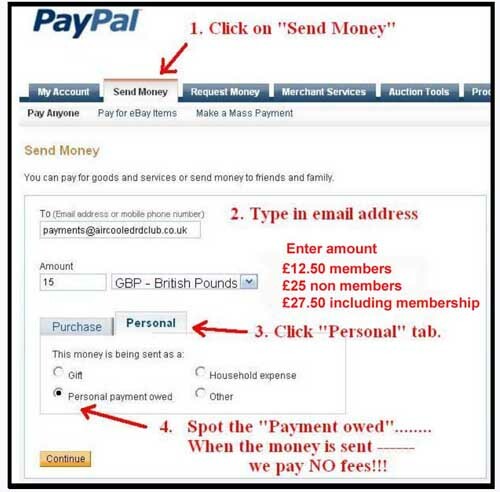 Paul its not for me,Pm me an email or tel number and ill pass it on,no rush. All the numbers and email are in the above post mate. Thanks will pass them on. Hope you don"t mind but i"d like to pick your brains with regards DVLA dating, i"m not an owner of a aircooled rd, at the moment anyway, but i currently have a yam TDR250, and a half assembled RD350LC. My question with regards dating certificate application, is it possible to do this with a half finished project? I can take photos of the LC as it stands assembled (wheels,engine,tank/panels,seat, etc). Photos of the frame and engine No"s no problem, is this enough to obtain the required certificate, or is it best to finish off the lot, mot it on the frame number and go from there? Just a bit dubious to go to the expense and time to finish this, only to not get the dating certificate at the end. Thanks for any light you can shed on this, obviously i"ll contact Paul to progress this certificate as req"d.
A dating certificate will short cut the excess of MOT"ing a bike on the frame number and the VIC test to follow. Once you have the certificate you submit it to the DVLA and you will be awarded an age related plate. Another option is to get a HPI check done on the chassis number, this may reveal the original reg no. and save you some cash. We have some people here who may be able to help, alas it"s not for me to say who they are, these priveledges are usually retained for paid up RD club members! Probs going to join up anyway, seems a canny source of knowledge anyway, never too much info where the smokers are concerned. Will the photos as mentioned above be sufficient for the certificate?